Have you ever had the feeling that a company simply does not care about your schedule, even when you have spent a lot time planning it out? Or that you are being overly charged for unsatisfactory work, with drying time being extended from hours to multiple days? We are called out constantly to homes to rectify problems left by other cleaners in our industry; ones that are not properly trained to safely clean the fibers or textiles that they are asked to clean. This can lead to disaster in your home. These unethical cleaners do not know how to thoroughly remove the soil that has "made itself comfortable" in your carpet fibers nor do they know how to properly remove spots that may irritate or concern you. Now, at this point, your question might be something along the lines of - "Who are you?" The answer is this... we are a company that is composed of technicians certified in carpet cleaning, water damage, and commercial maintenance. We are also currently ranked on Facebook as the #1 most-watched carpet cleaning company page. In other words, these certifications protect you and your home. We abide by a strict code of ethics that assure you, the homeowner, 100% customer satisfaction. 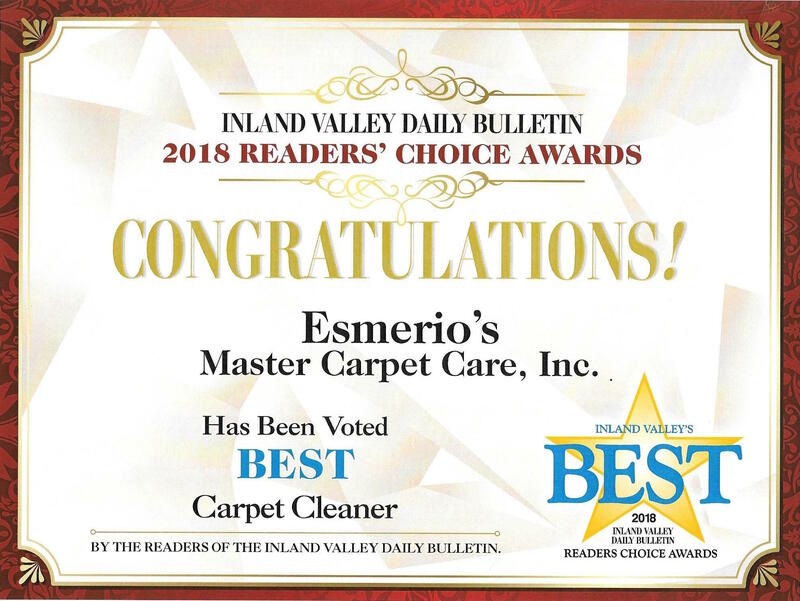 So, now, here are 20 very important reasons why our clients (and soon-to-be you) trust Esmerio's Master Carpet Care to care for their home and keep it sparkling clean! 1. A family owned and operated business you can trust in the privacy of your home. 2. Personal, friendly service. As a small family owned and operated business we value each of our clients. We strive to exceed your expectations in performing our services. 4. Meticulous- We cater to particular clients who are particular with higher expectations. Top quality service ensures lifetime clients. 5. Experience- We’re not rookies, we’ve been cleaning for almost two and a half decades. Over two thirds of our business comes from repeat clients who love our services! We have built a high quality reputation. 6. Quick, convenient scheduling to fit your needs. 7. 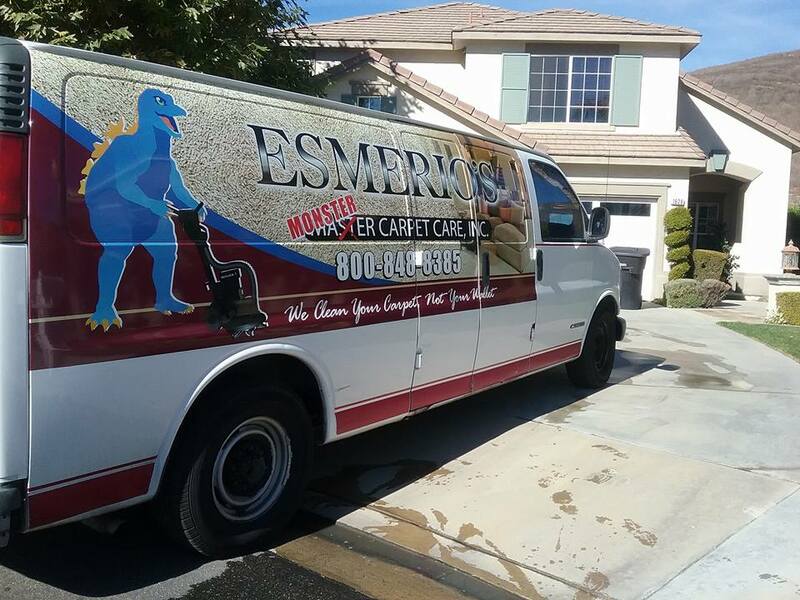 We invested in the best truck mounted equipment to get your carpet as clean and dry as possible. We have invested in the top of the line van powered truck mount. It generates high pressure, hot water, and strong vacuum, all key elements in cleaning carpet. 8. We use cleaning agents that are safe for kids, pets, allergy suffers and the environment. We also bring our own pre-softened water, which cleans better. 9. Fast Drying – We maintain our equipment properly, take extra vacuum passes and we utilize fans to speed dry areas while on site. Your carpet and upholstery is safe with us from over wetting. 10. We Never Rush Our Work! Our high quality workmanship is evident in the time we take to thoroughly perform our services. Even with the proper equipment and chemicals your carpet may still not be clean if the technician has a poor cleaning technique. Referral's cleaning technique separates us. We take as many cleaning strokes as needed to remove as much dirt as possible. 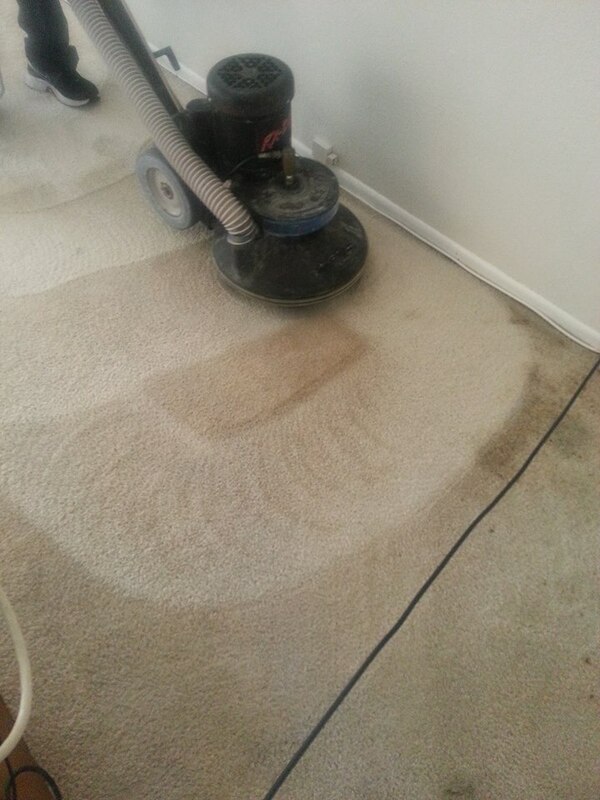 We do not "scrub" your carpet, which can result in over wetting. 11. Helpful information and advice at no extra charge! We will also give you a complimentary bottle of safe and effective spot cleaner ‘Spot Out’ along with 24 hour access to a spotting guide on our web site. Just another added value of our service. 12. Certified by The Institute of Inspection, Cleaning and Restoration Certification. (IICRC) We are dedicated to continuing education to stay up to date with changes in our industry. We also qualified as a certified firm of the IICRC (or, the Institute of Inspection, Cleaning, and Restoration Certification). Our technicians are certified in Carpet Cleaning, Upholstery Cleaning, Area Rug Cleaning, Carpet Repair, Water Damage Restoration, and Commercial Cleaning. 13. No high pressure, pushy sales. Just friendly consultants helping you keep your home sparkling clean. 14. Expert spot removal. Anything from Kool-Aid, Gum, Tar, Wax, Grease, Paint, Air Filtration Marks, Red Wine, and Pet Urine stains can be removed. 15. We use the hot water extraction method from a truck mounted unit, which is the recommendation of carpet manufactures. This means that a hot water cleaning solution under pressure is injected into the carpet, then immediately vacuumed into a waste tank in the truck. It removes odors, dust, pollen, germs, sand, allergens, pet hair and everything else that ends up in your carpet. 16. 100% Iron-Clad Satisfaction Guarantee- “A guarantee is only as good as the company that stands behind it." If your cleaning company doesn't have a track record that says they'll be available today, tomorrow and more importantly next year, you’re being shortchanged. If you are not happy with our services, we will re-clean for free. If you are still not totally head-over-heels thrilled, we will give you all of your money back. 17. Effective cleaning agents that do not leave a dirt-attracting residue which results in a long lasting clean. 18. You will get the most value for your money. Price is what you pay. Value is what you get. In the carpet cleaning industry prices are across the board and so is the quality of work. We price by the square foot. Instead of pricing by the room, we price by the square feet cleaned. It is a uniform rate and you only pay for what is cleaned. 20. Dedicated to YOU! We are dedicated to our clients before, during, and after every cleaning we do. We understand the value of a lifetime client! 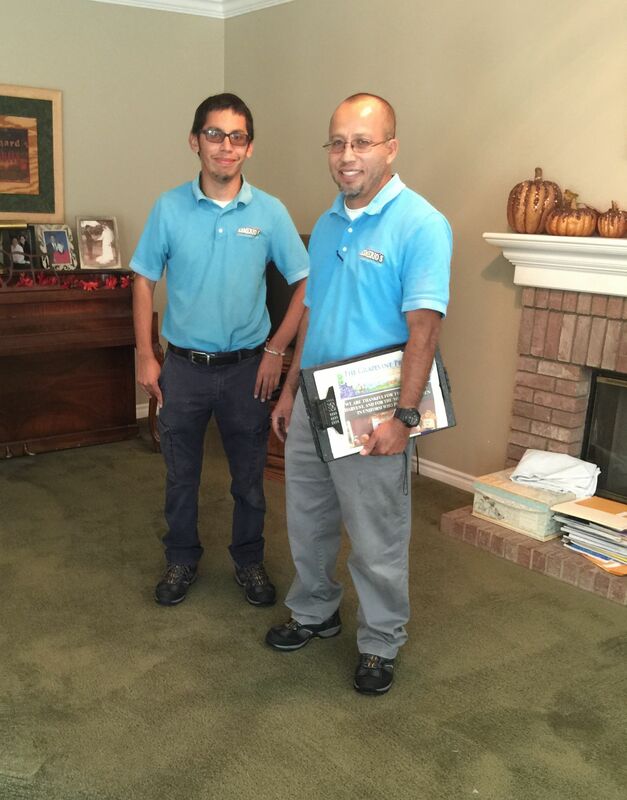 For more information about the most professional carpet cleaning company in Colton, CA, contact us at 1 (800) 848-8385.